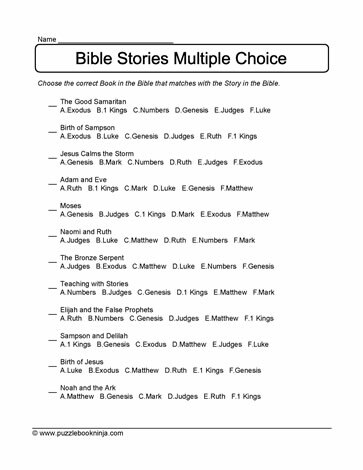 Additional multiple choice puzzles to challenge children learning about books in the bible and their associated bible stories. Engage family and friends to see who can be the first to discover the answers. Also suitable for homeschooling and classroom use.